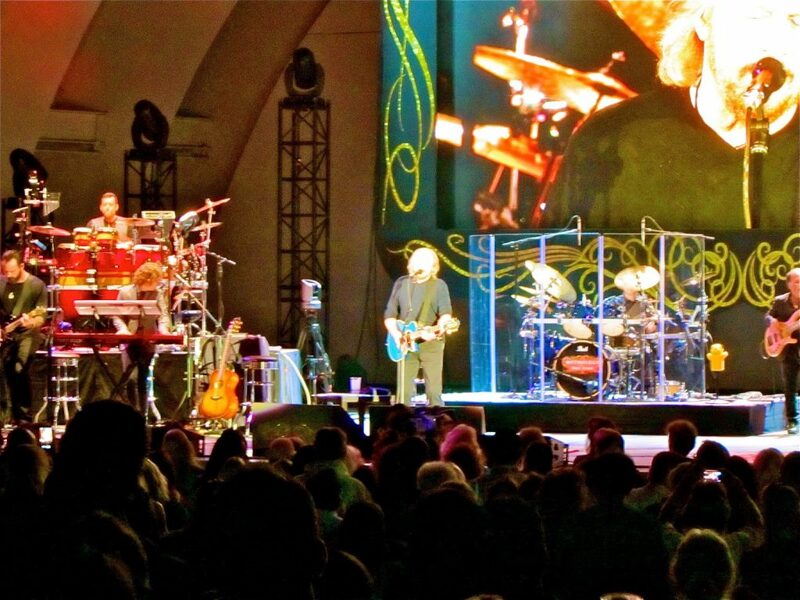 Almost two weeks on from the Hollywood Bowl and countless five-star reviews later, it’s time for at least one more splurge of praise from that Seger-less Hollywood Night. Barry Gibb, Barry Effin’ Gibb (not his real middle name*). Who knows, maybe Bob Seger was there? We know A-listers like Jimmy Connors, Barry Manilow, Bill Maher and Olivia Newton-John were all in attendance to see the man responsible for more different songs to hit US or UK #1 than anyone without Lennon or McCartney as their surname (21). The man the Guinness Book Of Records has listed as popular music’s second most successful songwriter, this time behind only McCartney. 220 million records sold, UK #1 hits in five consecutive decades, the one time biggest selling LP in history etc etc. The stats on the Bee Gees are staggering, but even if stats can win you arguments, they don’t explain nor garner much emotional connection. And it is emotion that has dominated the first ever solo concerts of this 67 year old, 50+ year showbiz veteran. That said, I happen to love the stats attached to the story of Barry, Robin and Maurice Gibb – click here to read more about what records they smashed. But while these facts and figures settle debates and strengthen and entrench fanship (including my own), they don’t tend to establish it. For most Bee Gees fans it begins with the melodies, harmonies and the way the music made you feel, not to mention the charisma of the brothers. For me: eight years old watching the 1989 One For All tour on TV and the two bearded guys (Maurice and Barry) bookending the slight guy in the middle with his hand to his ear (Robin) and being spellbound. Melodies, harmonies, feel. Fast-forward to the present day and Barry has tragically outlived his three younger brothers, has had a sold-out emotional homecoming tour of Australasia (early 2013), likewise the UK and Ireland (late 2013) and now it has been the turn of the States (mid 2014). There’s no country on the planet that so loved the Bee Gees to then turn their collective back on the trio. 16 US #1 hits as songwriters: nine as performers and a further seven for Andy Gibb, Frankie Vallie, Yvonne Elliman, Barbra Streisand and Kenny Rogers with Dolly Parton. But for a variety of reasons including over-saturation, record company upheaval and what some scribes have called “subtle musical racism,” the Bee Gees performance-career Stateside (though not their songwriting career) fought a largely uphill battle post-1980 until the Still Waters breakthrough in 1997. 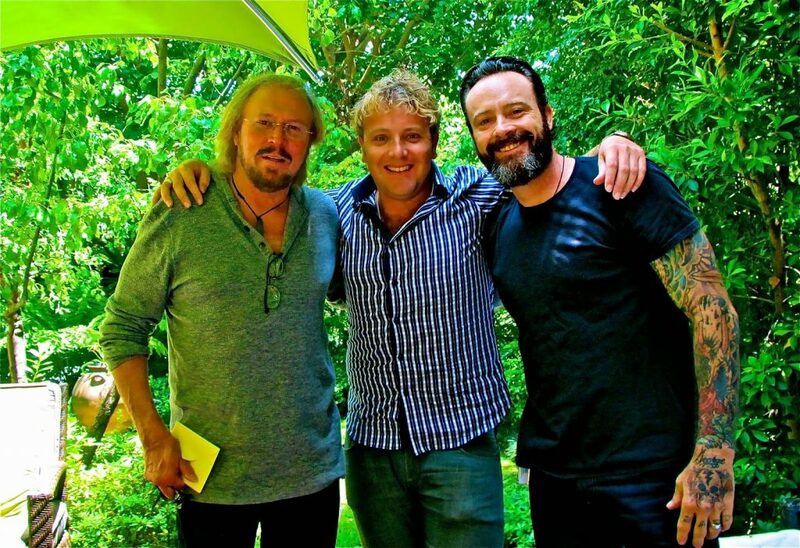 So how would America receive Barry Gibb – solo artist – in 2014? Ecstatic major publication reviews from each city and standing ovations so long they brought Barry to tears on all six US dates are a pretty strong indicator, ramming home the affection felt for this man. The Hollywood crowd even gave a “Ba-rry Gibb! Ba-rry Gibb!” chant after Nights On Broadway, reminding that fashion is ephemeral but truly great songs are timeless. And it turns out America has been re-realising the Gibb brothers wrote an awful lot of truly great songs. There’s something extra special about a legendary act at a legendary venue. I’d seen Lionel Richie the night before at the massive indoor Honda Arena in Anaheim. It was a fun if slightly generic Lionel Richie concert in a grand if slightly generic venue. 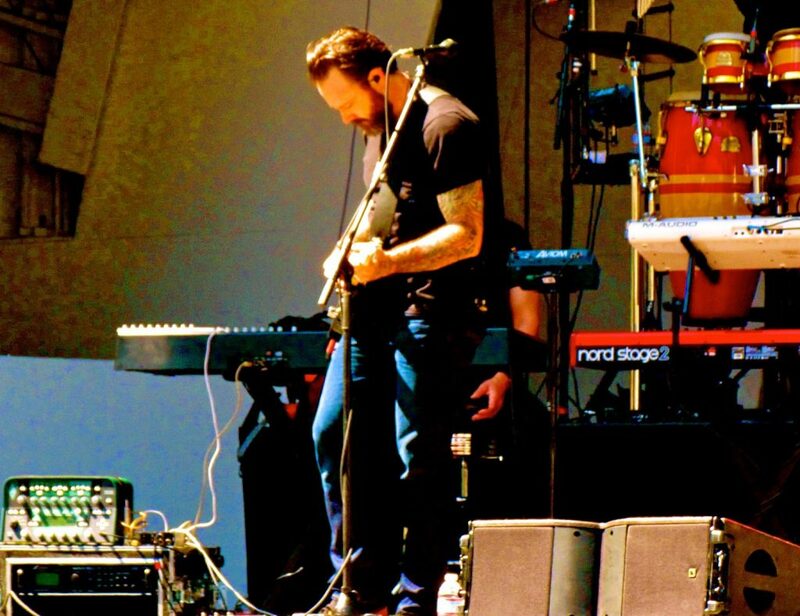 Barry at the afternoon sound-check. 24 hours later here was a still newly solo Bee Gee in the entertainment capital of the world at one of music’s landmark locales. This was an appropriate fit. Throughout the show the response from fans showed it can’t be overstated the love they feel for Barry and the Gibb family. He seems truly humbled by it. Melodies, harmonies and feel might’ve been the origin, record-breaking stats a solidifier, but the sense these are good, kind, vulnerable people is also a not inconsiderable part of the Gibb appeal. 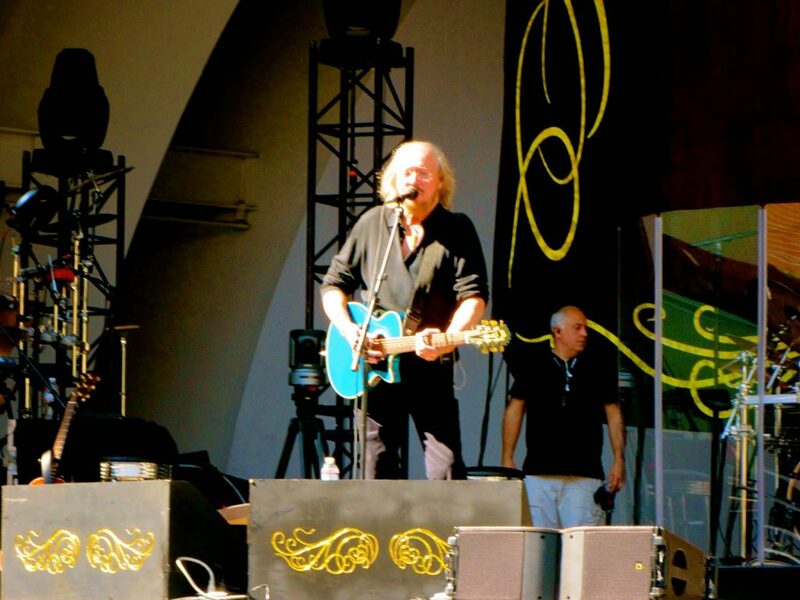 Under a perfect LA summer sky, wind blowing through the silver mane for what Cliff Richard once told me was, “that famous Barry Gibb silhouette,” there was a strong sense of history and another kind of homecoming. Maybe that’s an underplayed part of the greater Mythology story: whether it was Australasia, the UK or here in the States, it was always a homecoming. And coming home to a welcome much warmer than anticipated, when the odd bit of troubled water has flowed under the bridge, is all the more sweet. 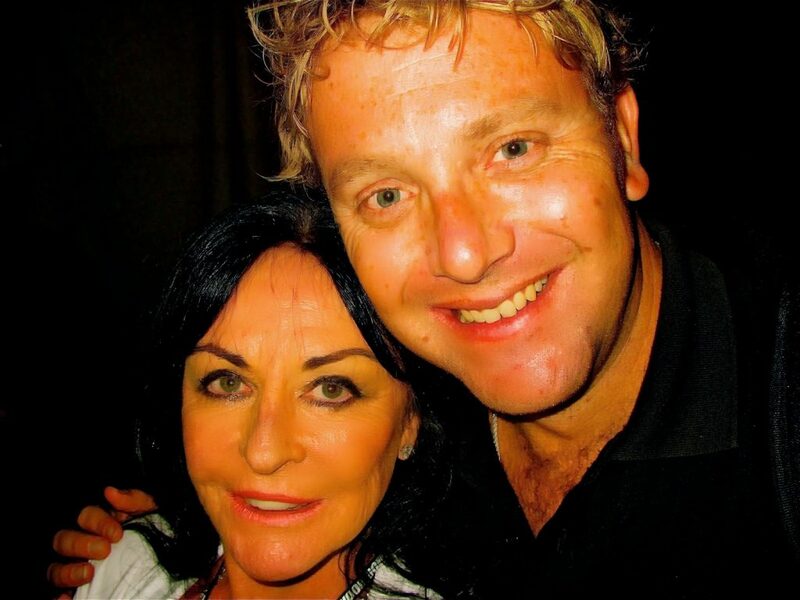 Born in the Isle Of Man, then the years in Manchester, then sun and adventure and strides to fame in Australia, then success in the UK, then a life made in Miami. 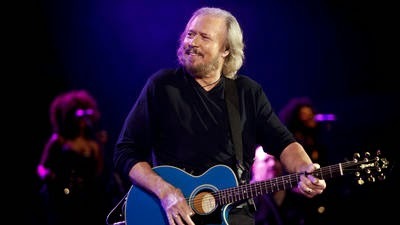 In each of these countries there’s been that feeling of, “wow, it’s really Barry Gibb. And the voice is still there and the silhouette too.” Don’t underestimate the power of the visual. For another Simon & Garfunkel reference, the onstage image of Barry in 2014 had echoes for me of seeing S&G live a few years ago and though it was 40 years after the fact, the silhouette of the little guy with the guitar and the tall guy with the hair was that out-of-time moment: it’s really them, so much has changed, but maybe when the dust-settles some things remain the same. Back in the present again, Barry is an artist refusing to dial it in. Long concerts (nearly two and half hours), pre-song monologues, three big screens with video montages and tributes to his brothers, 13 musicians including himself onstage are all proof of this. Nor does he do things for the wrong reasons as was obvious from my meet with him at his hotel two days after the concert. He is doing this tour for the joy and catharsis it brings and certainly not the money and besides, these songs are too good not to be heard live. 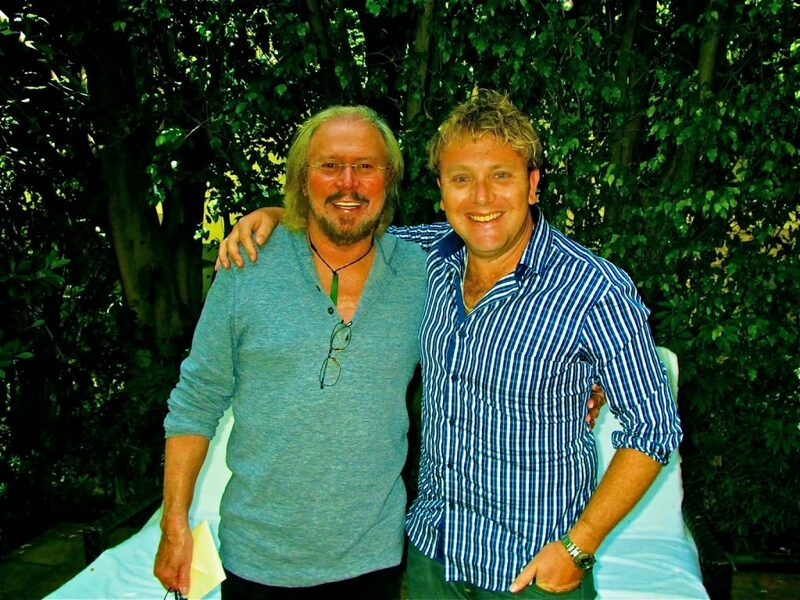 Crucially Barry can still sing and still connect you to the emotion that underpins so many Bee Gees songs. Particularly once the adrenaline of being in front of a big crowd kicks in, his voice is perplexing similar to the One Night Only days from the late 90s. If anything, his falsetto has improved, surviving even better than his warm tenor. Having seen him solo in Melbourne, Napier and now Hollywood, I’ve never doubted the sincerity of lines like, “you don’t know what it’s like to love somebody the way I love you,” nor the plaintive questioning of “how can you mend a broken heart?” Even at 67, you always feel the emotion in Barry Gibb’s voice irrespective of register. 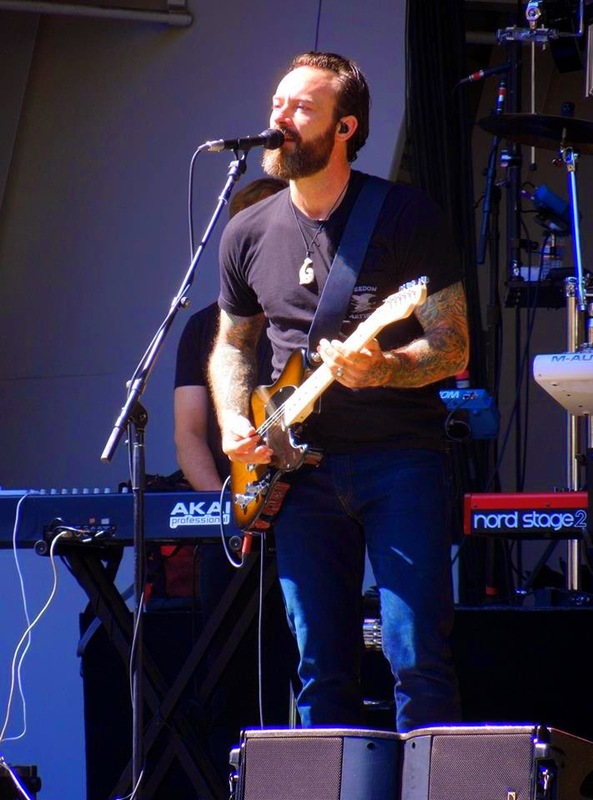 With the Bee Gees being so entrenched in familial harmony, the solo Barry has wisely armed himself with next-generation Gibbs, from son Stephen on lead-guitar and gravely vocals, to beautiful niece Samantha on vocals and even daughter Ali on the tele-prompter. Beyond that, there are the three most cohesive backing vocalists ever to accompany a Gibb or Gibbs in concert in Beth Cohen, Leesa Richards and Charlotte McKinnon. These backing vocalists meld smoothly with the other top-drawer musicians Barry has assembled, ensuring the 2014 interpretations of Bee Gees songs are confidently, rather than tentatively, honouring of his brothers. Nights On Broadway is a perfect example – a song Barry had previously admitted reservations to singing onstage, presumably due to the complexities of the harmonies. With these musicians and singers they found a way and even poked fun at the Saturday Night Live Jimmy Fallon / Justin Timberlake spoof that uses Broadway as its theme, The Barry Gibb Talk Show. Other especially vocally intricate Bee Gees songs previously omitted from Mythology concerts like New York Mining Disaster and Run To Me were also brought to life. “This is a great band Timmy!” Barry had told me in the buildup to the Australasian tour and he’s right. 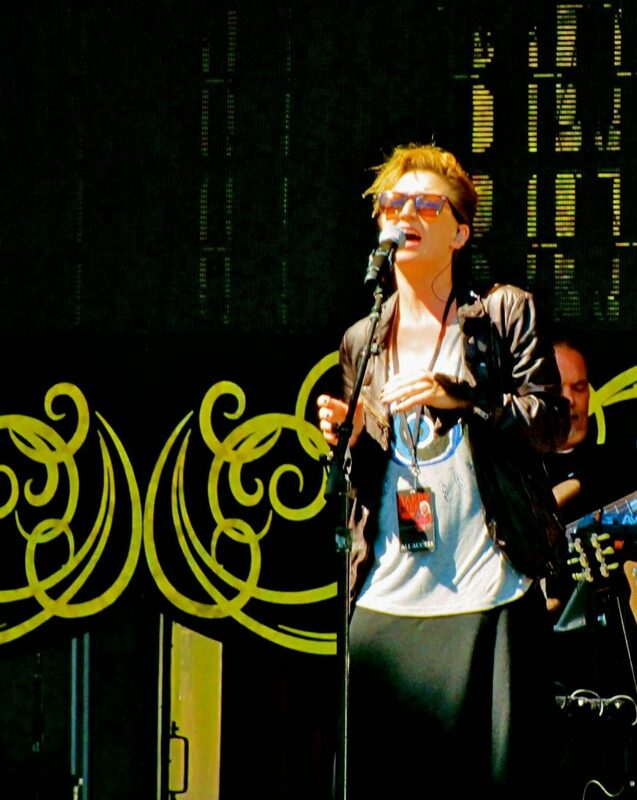 They’re arguably the finest band behind any Gibb since 1979’s career-defining Spirits Having Flown tour. Samantha duets on How Can You Mend A Broken Heart and as confirmed to me in a good catch-up chat at the after-party, sings You Win Again in a nod to English singer Sophie Madeleine. Stephen adds force to I’ve Gotta’ Get A Message To You, Grease and Maurice’s deeply rocking On Time, Leesa takes the Our Love Don’t Throw It All Away bridge while Streisand like-for-like Beth duets on Guilty and Islands In The Stream as well as owning the stage with Woman In Love. On the night I couldn’t help but feel that much of the work of Barry’s support crew reinforces how soulful so many of those songs were. With Barry’s delightful wife Linda at the after-party. This is key because I’m frequently converting people to the wonders of the brothers Gibb by playing them the most country of songs in their catalogue. I do this for two main reasons: the songs are wonderful and genre-wise, they’re the furthest from the Saturday Night Fever stereotype. But diehard fans should never be ashamed of the pop-brilliance that was the Bee Gees bread and butter, nor be oblivious to the the soul so present in hits like Our Love, How Deep, Broken Heart, Guilty and the piece Barry told US audiences was “the last great song we wrote together,” Immortality. And perhaps it’s all of this that reinforces how astonishing the Bee Gees were. Fans like me may defensively emphasise the excellence of the country songs, ensure more light is shed on the early oddities, fret the late career gems aren’t getting enough attention and only take a breather when we think we’ve convinced the non-believers. Ultimately this just means the Gibbs wrote a lot of meaningful songs in a lot of different styles, but the connecting threads of melody, harmony and feel were always there. Mystery Pier Books (and my reflection). He’s also just discovering the wonders of the Bruce Springsteen catalogue having covered I’m On Fire on the US tour with such conviction you’d swear it was a Gibb song. I told him I’d stumbled into an incredible little bookshop off Sunset Strip** that sells nothing but immaculately kept first-editions. Possibly suffering heat exhaustion, I suddenly thought I might get him a gift of a signed first-edition Hemingway book being the brothers had written two hits with Hemingway titles: Islands In The Stream and For Whom The Bell Tolls. This seemed like a nice idea. Well, at $7500 it stayed a nice idea and instead I promised to send Barry a CD of the Springsteen songs I think he’d love the most. Barry Gibb is now back at home in Miami, watching a bit of TV and allowing himself some of his favourite drink, sake. He says his sorrows are behind him and while this may be it for the Mythology concerts, new tours and music are a real possibility. May many more good days be ahead. Barry, thanks for everything. Barry and me June 6, 2014. 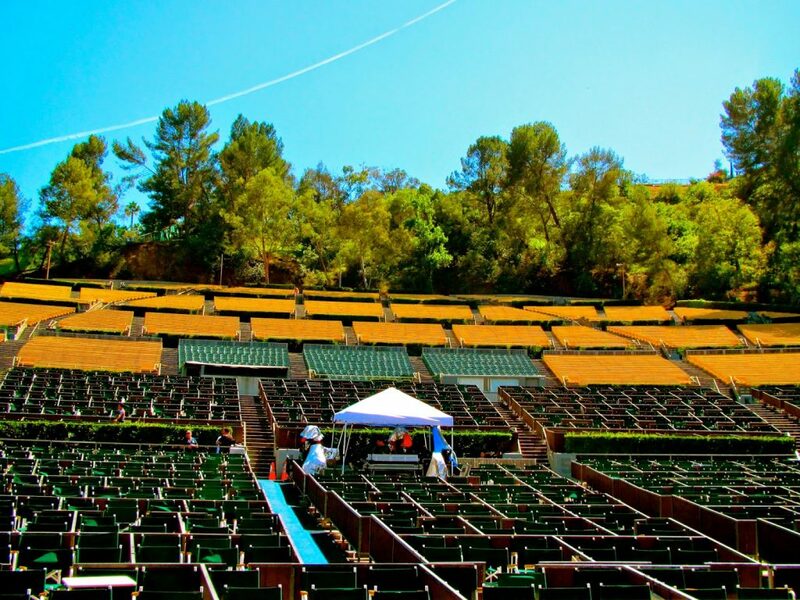 The Hollywood Bowl before the sold out crowd arrived. 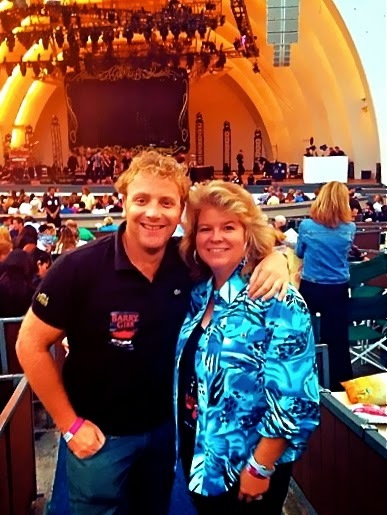 The very kind Beverly Burke who is a longtime fan and friend of the Gibb family. She also heads up the charity organisations involving the Gibbs. Thanks also to Beverly for providing additional photos for this blog. 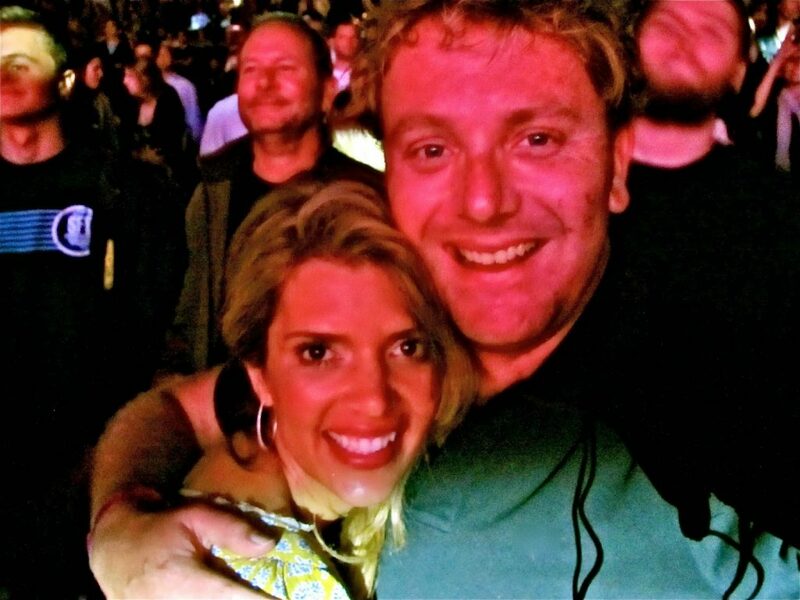 An in-concert selfie with Michele, one of many younger fans at the Bowl. Our view to the stage, not bad at all. 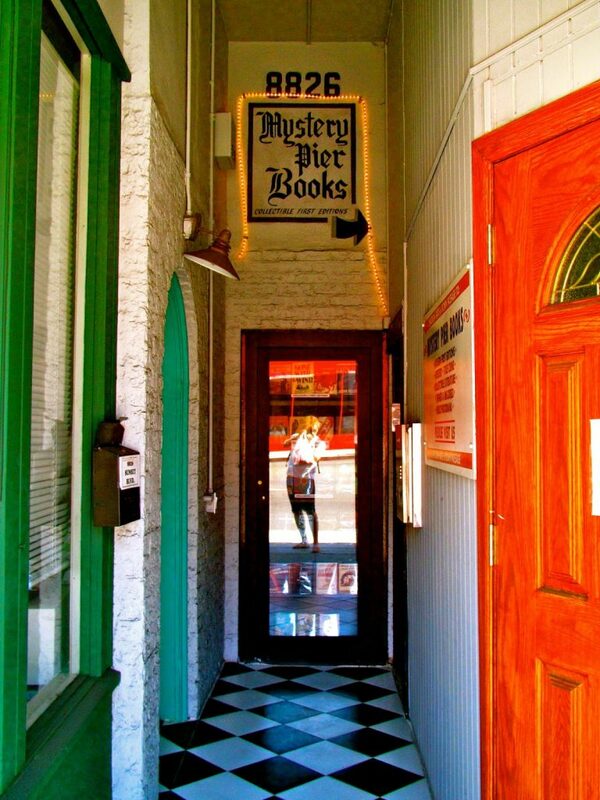 **Mystery Pier Books off Sunset Strip is said to be one of the most prestigious first-edition bookstores in the States and indeed the owners know Barry and many other celebrity collectors like him well. Wonderful story Tim! You're always spot on about the Gibbs.From the very emotional reception in Boston to the overwhelming night at the Hollywood Bowl, the Mythology USA tour was simply amazing. I loved seeing Barry in the UK, but it just seemed a bit sweeter witnessing him experience the love & respect the US showered him with on this tour. He definitely deserved it and all the wonderful reviews. I can only hope for more to come.It was so great too meet you and talk with you a bit and hope you enjoyed the ride to the show. Take care! well done Tim a pleasure to read as always. I envy your relationship with Barry. Thank you for the great article, you expressed my feelings exactly about the concert . After two weeks since the concert I'm still blown away by how great it was and how lucky I'm to have been able to be there. I sure hope there will be another tour in the near future I would definitely go again . I flew down from Seattle to go to the show it was well worth saving for months to be able to go . Thanks again. .